In our reading for today, Jesus is teaching his followers how to pray. He teaches them what has become known since, across the generations, as the Lord’s Prayer. The prayer says much about the appropriate spirit for Christians, especially as it relates to our propensities for forgiving others — as our Lord forgives us. To emphasize this point further, Jesus concludes with an addendum about the necessity of such a forgiving spirit. God has completely forgiven you through his incredible expression of love for you, demonstrated before the whole world in the life, death, and resurrection of his Son, Jesus Christ. You and I are called to this perspective of loving as we push our personal resistance aside and allow others to experience our forgiveness as well. 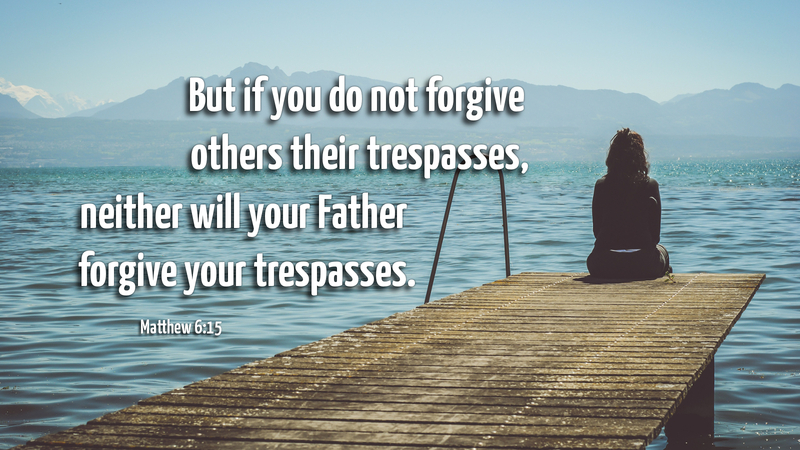 Prayer: Merciful God, help me to overcome the difficult hurts, and any other barriers, that interfere with my willingness to forgive others as you have forgiven me, in Jesus’ name. Amen.